- Offer Price- Rs. 500. Anti Radiation Bio Energy Card consists of FIR (Far Infrared Ray), which helps to heal our body. 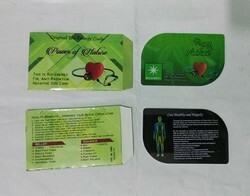 This Nano health Card consists of very high value capacity, for body healing, if used daily. Deals in providing bio energy card.